Published September 4, 2013 @ 3:41 pm in Concept Work & Signage for CMNH. Full size: 600 × 377. 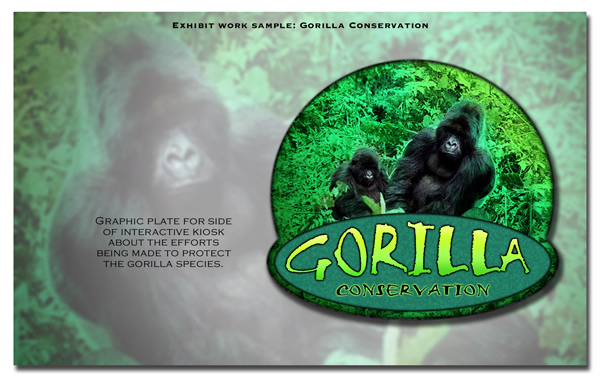 Graphic plate for the side of an interactive kiosk about the efforts being made to protect the Gorilla species.